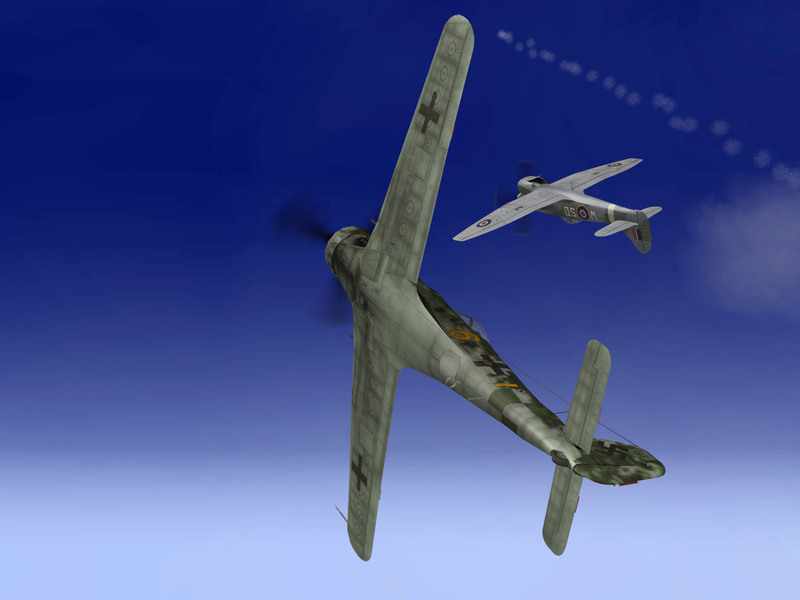 The Focke-Wulf Ta 152 was a World War II German high-altitude fighter-interceptor. The Ta 152 was a development of the Focke-Wulf Fw 190 aircraft, but the prefix was changed from "Fw" to "Ta" to recognize the contributions of Kurt Tank who headed the design team. The number 152 was chosen in the German air ministry's list of numbers allocated to German aircraft companies, and was not related to the designer's previous projects or achievements. It was intended to be made in at least three versions â€” the Ta 152H HÃ¶henjÃ¤ger ("high-altitude fighter"), the Ta 152C designed for slightly lower-altitude operations and ground-attack using a different engine and smaller wing, and the Ta 152E fighter-reconnaissance aircraft with the engine of the H model and the wing of the C model. The first Ta 152H entered service with the Luftwaffe in January 1945. Total production - including prototypes and pre-production aircraft - is wrongly estimated in one source at about 220. But only some 43 production aircraft were delivered until the end of the war. This was too late to allow the Ta 152 to have a significant impact on the war effort. Due to the difficulties German interceptors were having when battling American B-17s, and in light of rumors of new B-29 bombers with better capabilities, the Reichsluftfahrtministerium (German Air Ministry, or "RLM") requested proposals from both Focke-Wulf and Messerschmitt for a high-altitude interceptor. Messerschmitt answered with the Bf 109H, and Focke-Wulf with the Fw 190 Raffat-1, or Ra-1, (fighter), Ra-2 (high-altitude fighter) and Ra-3 (ground-attack aircraft), which developed into the Fw 190 V20 (Ta 152A), V30 (Ta 152H) and V21 (Ta 152B) prototypes, all based on the then successful Fw 190D-9 but with varying degrees of improvement. The V20 used the same Jumo 213E engine as the Fw 190D-9, while the V21 used the DB 603E. Neither of these offered any significant improvement over the Fw 190D-9, and so further development of the Ta 152A and B was cancelled. The V21 airframe, however, was further modified as the V21/U1 and became the prototype for the Ta 152C. Kurt Tank originally designed the Ta 152 using the Daimler-Benz DB 603 engine as it offered better high-altitude performance and also a greater developmental potential. The DB 603 had been used in the Fw 190C with many problems and was considered too difficult to implement in the Ta 152 by RLM officials. With this in mind, Tank focused his efforts on the Junkers Jumo 213E as the Ta 152H's power plant. However, he insisted that the Daimler-Benz DB 603 remained for the Ta 152C versions and as an option for later versions of the Ta 152H.